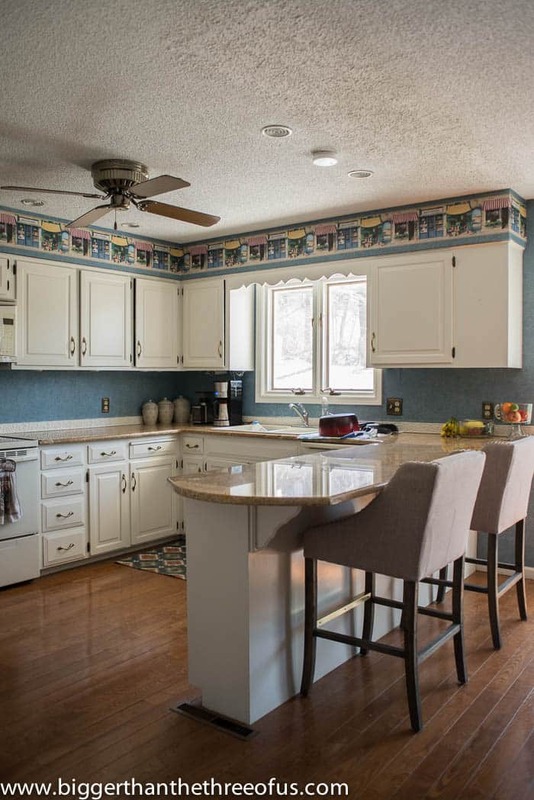 When we decided to start our kitchen renovation, we had thought that we would just take down a few cabinets, paint the remaining cabinets and get new hardware. Basically, we would do the easy, pretty stuff. 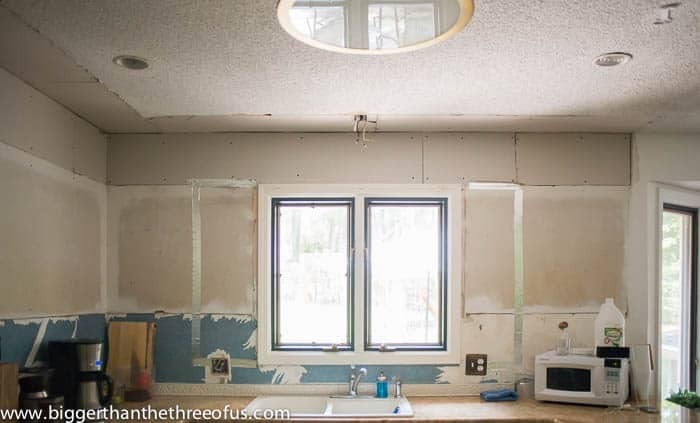 Well, one thing has led to another and we have knocked down two walls, got new appliances, are building a whole wall of new built-in cabinets and are enlarging a window. It’s kinda crazy how fast one thing can lead to another. Let’s talk more about the window situation today. We have this window above the kitchen sink. It’s a fine window, but once we took down all the upper cabinets we realized that the window could be the focal point of kitchen. After going back and forth on whether to replace it or live with it as is, we finally decided to enlarge it. It makes more sense to do it now and do less tile, than to tile around the existing and then have to repair down the road when we want to enlarge it. So, I got a few different quotes for a replacement and installation. Apparently, replacing a window is quite easy but enlarging it is another story. We are almost doubling the size of our current window which can be quite a job. To do this, a new header has to be put in and exterior brick has to be cut out. To match the look of the other exterior windows (which have soldier style casements), brick has to be sourced to match. It sounds like quite a bit of work (and money) but I think the large window will really make the kitchen. So, we hired a contractor and have ordered the window. 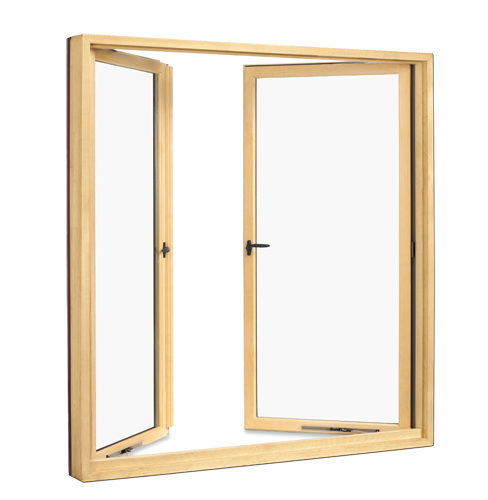 We decided on a french casement windows. It was supposed to arrive last week, but it’s still not here. It’s funny how you can take forever actually making a decision, but once it’s made you want the change to happen overnight. Our contractor hopes that it will be in and installed by the end of next week. I’m so excited!